In a small frying pan, sauté onion in 1 tablespoon grape seed oil until onions are translucent. Remove from pan to a large bowl and let the onions cool. Using a whisk, beat in the grape seed oil, soy milk, Dijon mustard, Worcestershire sauce and Tabasco sauce until ingredients are well combined. Add the Old Bay, black pepper, sea salt and panko. Fold in the crab meat and parsley. Form into 8 large patties, and place on a plate. Refrigerate for 30 minutes to allow the patties to set. Film the bottom of a large frying pan with grape seed oil and heat the oil over medium-low heat. 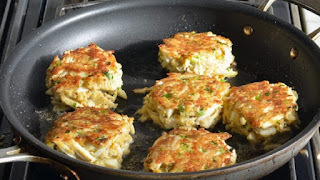 Once the oil is hot, add the crab cakes and cook, undisturbed for 5 minutes or until the bottoms are brown. Then turn and cook until the second side is brown. Remove from the pan and let drain on a plate lined with paper towels, to remove excess oil. 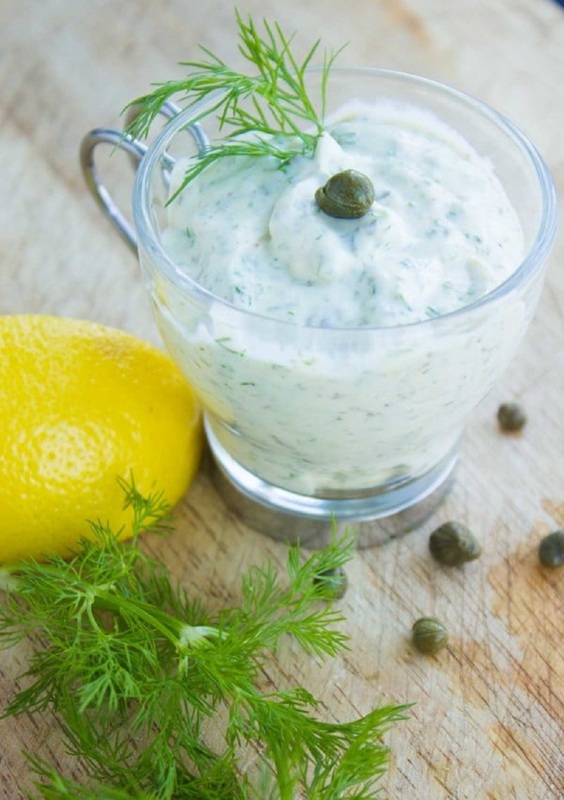 Serve hot, with tartar sauce - recipe below. Place all the ingredients in a food processor or mini chopper and pulse several times until the pickles are finely chopped and all the ingredients are well mixed but not pureed. Place the peppercorns, coriander, cumin and onion flakes in a coffee/spice grinder, and process until seeds crack. Add the remaining spices and sugar and process until seeds are coarse and all ingredients are well mixed. Sprinkle meat with the rub and massage lightly all over. Cover and refrigerate overnight. Prepare a charcoal grill or heat a gas grill to high. Place roast on grill and sear one side 6 to 8 minutes, checking for flare ups. Turn the roast and sear on all sides for the same amount of time. Lower the gas grill to medium or move the meat to a cooler part of the charcoal grill. Turn meat and cook another 8-10 minutes. Flip and continue cooking on each side in 8 - 10 minutes intervals. A 2 pound roast will require 20- 25 minutes total cooking time. The roast is ready when the thermometer inserted into the thickest part of the meat reaches 130 degrees. 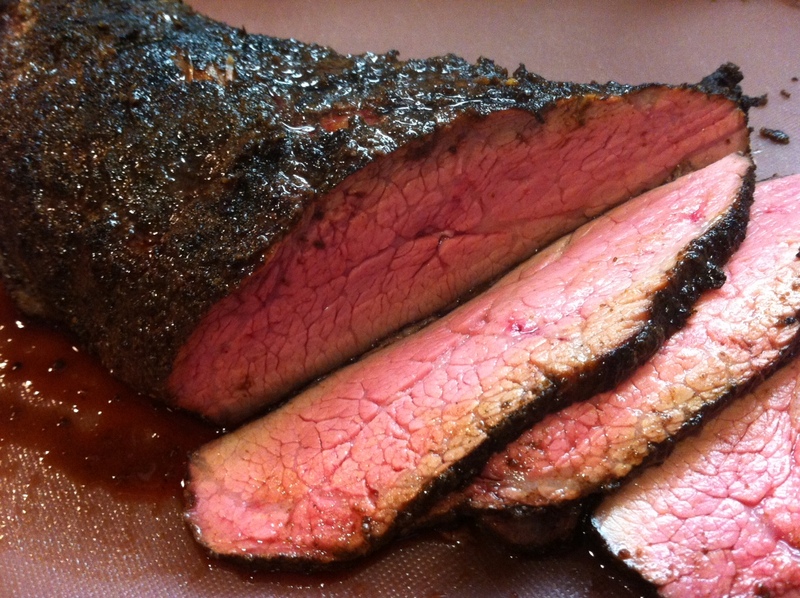 Rest roast on a cutting board 10 - 20 minutes before cutting. Slice against the grain. Soak the beans overnight in water in a large bowl. Make sure the water level is at least 2 or 3 inches above the bean level to allow for absorption. 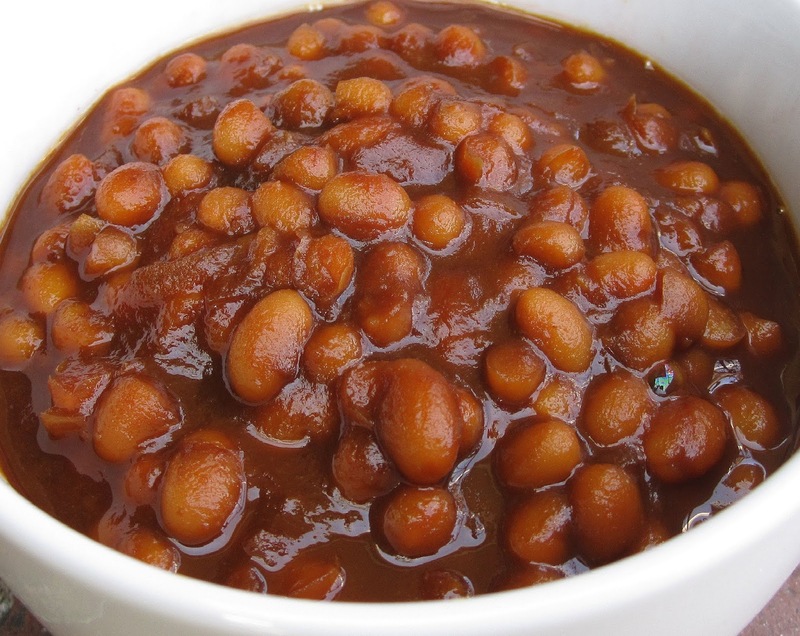 Drain in a colander and remove any debris, discolored beans or empty shells. Soaking overnight greatly reduces the cooking time required. In a small pot over low heat, combine molasses, mustard, brown sugar, salt, pepper, onions, liquid smoke and 5 cups water. Bring to a boil and whisk until the sugar has dissolved. Remove from heat. In a heavy oven proof pot with a lid, add the soaked beans then pour the molasses mixture over them, stir, and cover. The liquid should cover the beans by ½ inch. Add more water if necessary. Place pot in oven to bake until the beans are tender, and the liquid has thickened about 6 hours. Check the beans every 45 minutes, adding more hot water to keep beans covered in broth at all times. Once the beans are to your desired tenderness, remove from oven, adjust the seasoning with salt, pepper and molasses, if necessary. Since Navy beans are relatively high in starch, the sauce will thicken slightly as it cools. 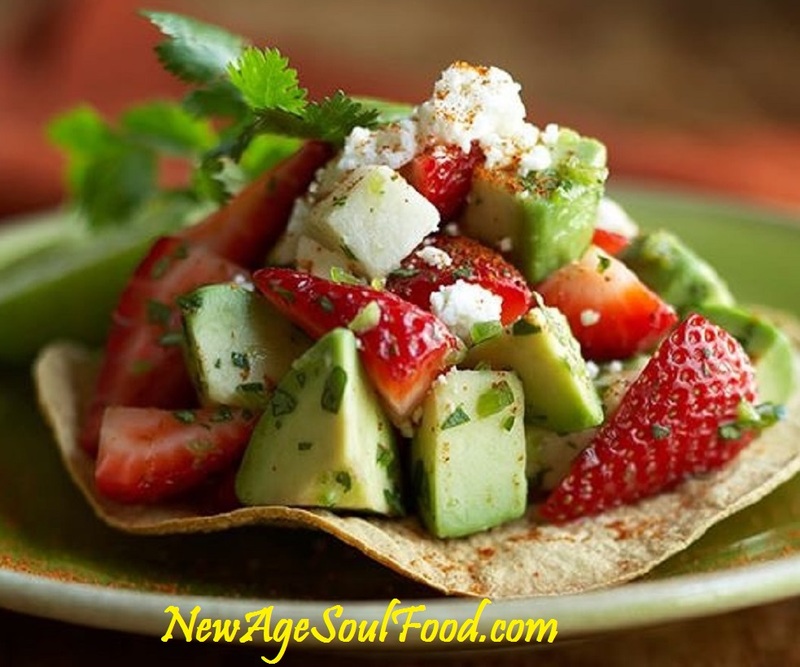 Place avocados and strawberries in a large bowl and set it to the side. In a small bowl, whisk together the lime juice, orange juice, olive oil, salt, garlic, onion, pepper and cilantro. Pour dressing over fruit and gently toss until all ingredients are thoroughly covered. Place tortillas on a sheet pan and warm in a 350 degree oven. Top each tortilla with the fruit mixture and serve immediately.